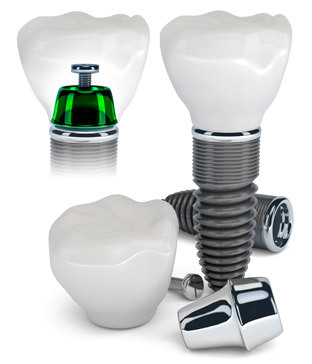 Dental implants are surgical dental appliances that provide a foundation for replacement teeth or dentures. They are synthetic tooth roots made of titanium or a similar material that are surgically placed in your jawbone. 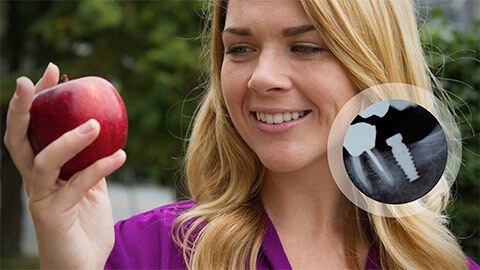 With proper care, implants can last a very long time. The implant process consists of three steps. First, a hole is drilled in your jawbone and the implant is surgically placed, then the hole is closed over and your jaw is left to heal. Second, once your jaw is healed, the implant is exposed and a device called an abutment is attached. The abutment is used to support the crown or denture that will be attached to the implant. 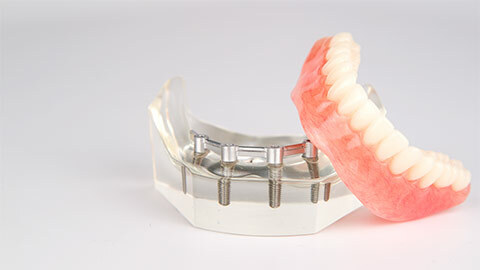 Finally, a crown or denture is attached to the implant with a fastener. A mini implant is a type of implant that does not require the same amount of surgery to place as a regular implant. Because they require less surgery and have shorter healing times, mini implants can be used to support crowns or dentures sooner than regular implants. Check with our office to see if you are a candidate for mini implants. 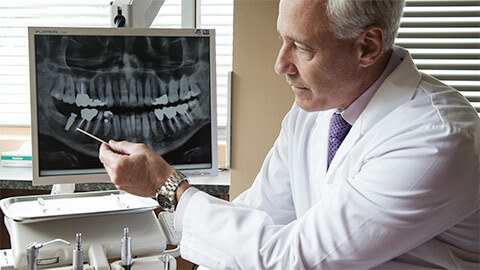 To learn more about the benefits of implants for tooth replacement, make an appointment with our office today.